NEW YORK – The New York Knicks sent shock waves through the NBA this afternoon by trading Kristaps Porzingis to the Dallas Mavericks. 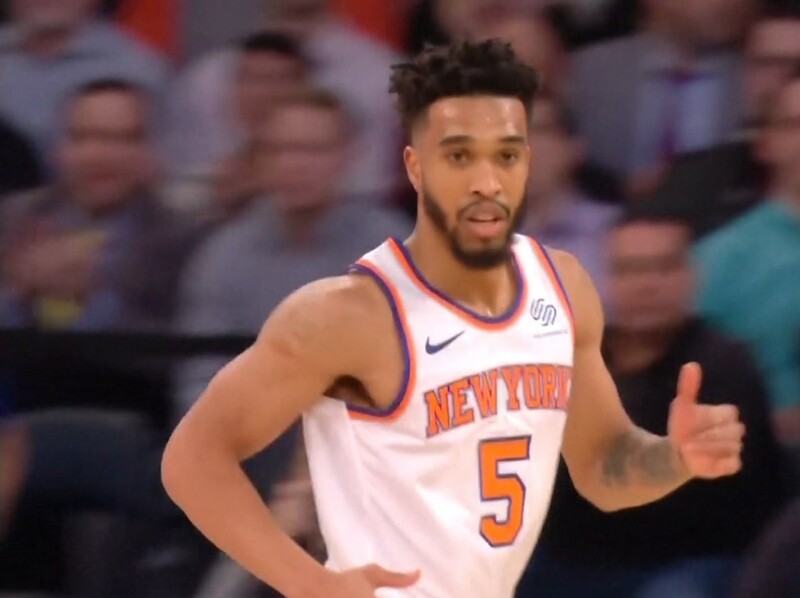 As part of the deal, the Knicks will receive Wesley Matthews, Deandre Jordan, and Dennis Smith Jr., while Tim Hardaway Jr., and former Western Kentucky men’s basketball guard Courtney Lee are head down South. Lee, who averaged 17.6 points, 5.2 rebounds, and 2.2 assists per game as a Hilltopper, will now play for his eighth NBA franchise since joining the league in 2008. He has previously played for the Orlando Magic (one year), Brooklyn Nets (one year), Charlotte Hornets (one year), Houston Rockets (two years), Boston Celtics (two years), Memphis Grizzlies (three years), and the New York Knicks (three years). In three seasons with the Knicks, Lee averaged 10.9 points, 3.1 rebounds, and 2.3 assists per game, appearing in 165 total games for New York.